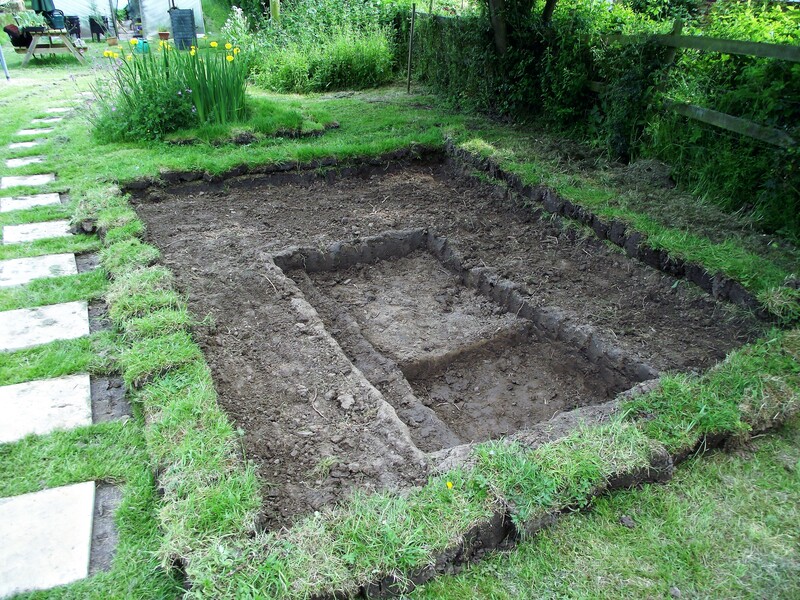 Digging for victory – Pond party! 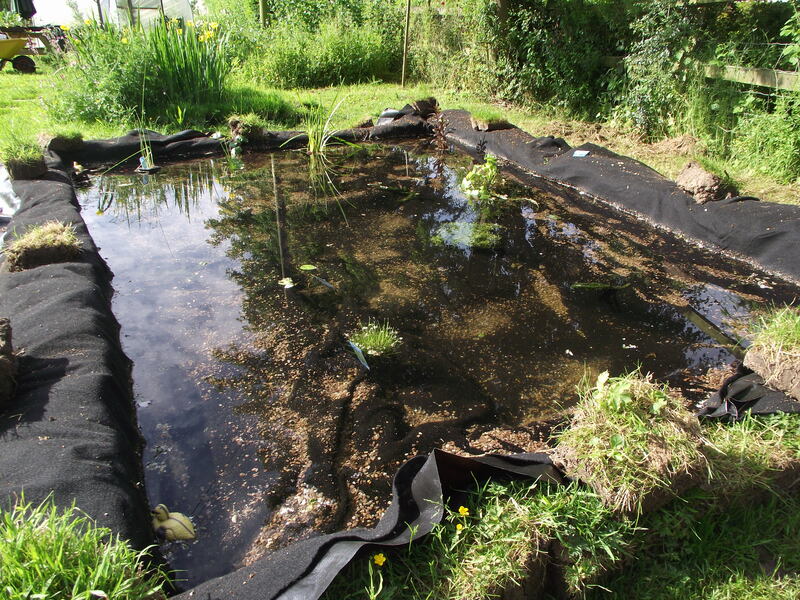 The pond is now full of water – the tap water has been treated and some plants placed!! 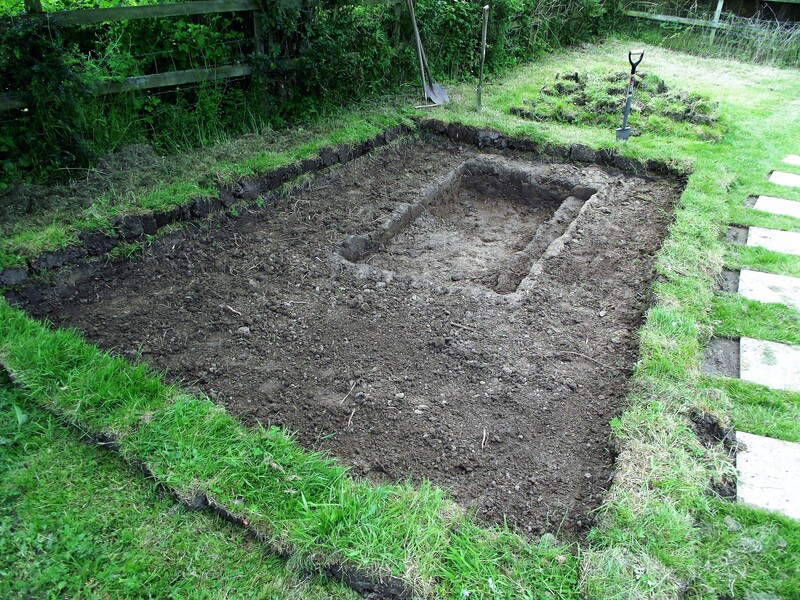 As a way of increasing the depth I surrounded it with some of the turfs I had dug out. And then added the underlay, then the waterproof liner, and then another underlay. The final underlay was to protect the waterproof liner from UV damage and to provide a lock for plants to dig their roots into. Then get out the hose, take a chair, a beer and a book and watch it fill. You need to keep an eye on it as it fills and flatten and move the liner as it finds its form. And that’s it – full. 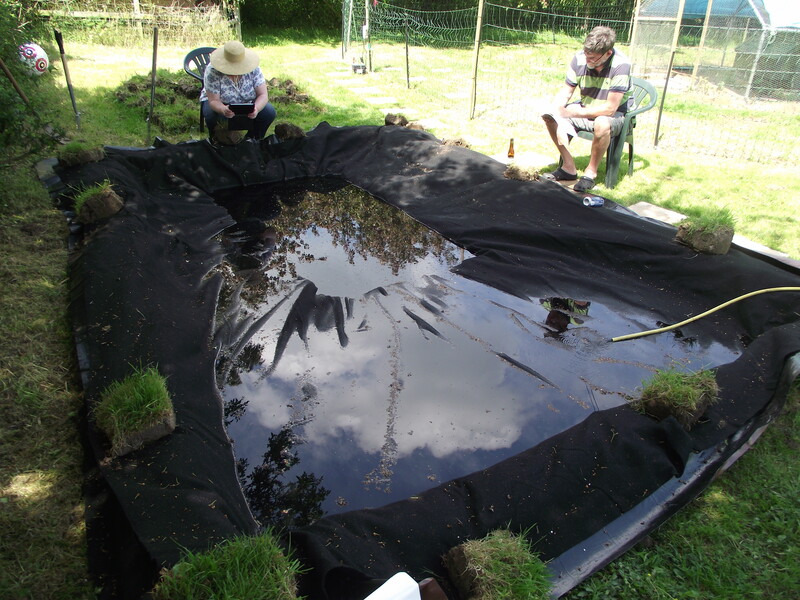 oxygenating plants in – gravel on the outer liner to hold it down from floating (as sediment grows it will lay properly). 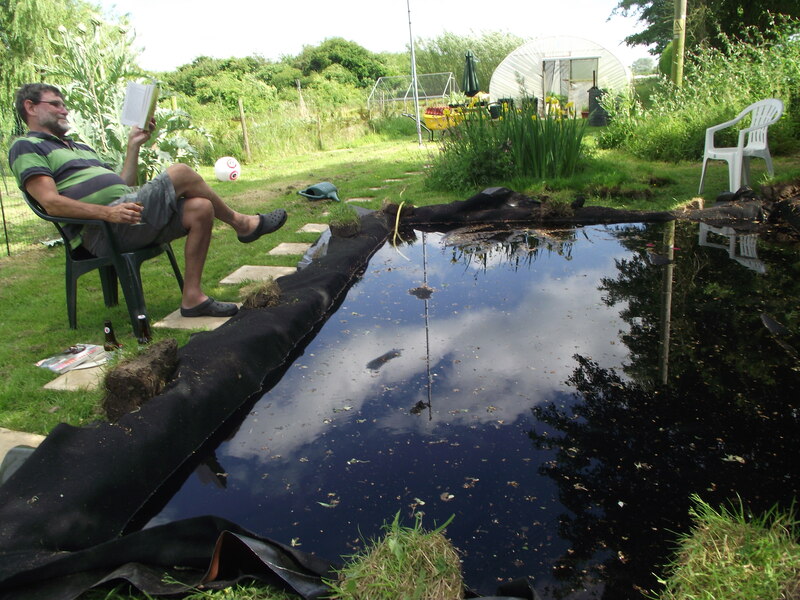 We already have a water beetle – and damson and dragon flies showing an interest!! During the week I will cover the edges with the remaining turfs and basically let it get on with it! !